13-year-old Raegan Strange sings her cover of “Meant To Be” on The Voice Season 15 Blind Auditions Week 2 on Tuesday, October 2, 2018. “There were effortlessness power and precision when you sing. You are phenomenal,” said Adam Levine. Raegan picks to Adam Levine as her coach. 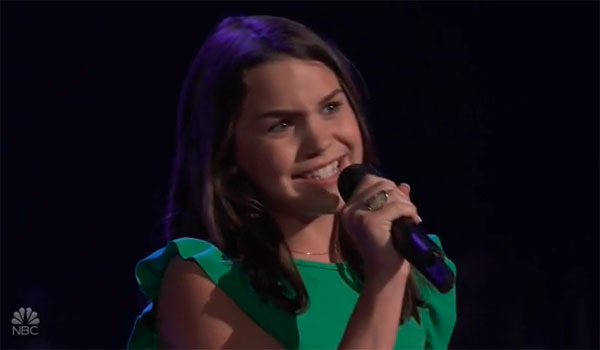 What can you say about Raegan Strange’s performance? Share your comments and views on the discussion box below.